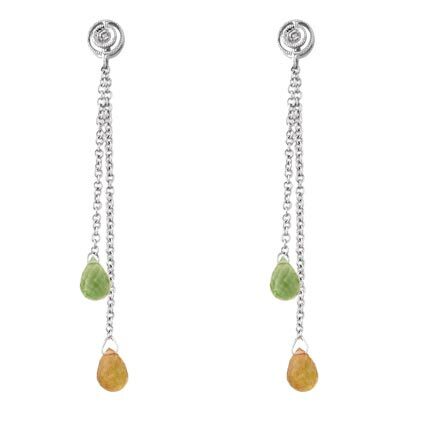 14k White Gold Citrine & Peridot gemstone drop earrings. Stones hang approx 1 3/4 of an inch & 1 1/4 of an inch. 1/5 CT Diamond TW Eternity Ring 10k White Gold GHI I2;I3. 1/5 CT Diamond TW Eternity Ring 10k Yellow Gold GHI I2;I3. 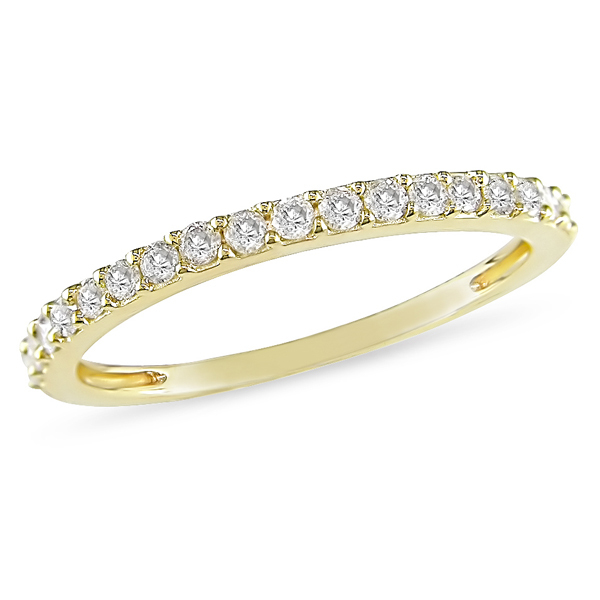 1/4 CT Diamond TW Stacked Ring 10K Yellow Gold. 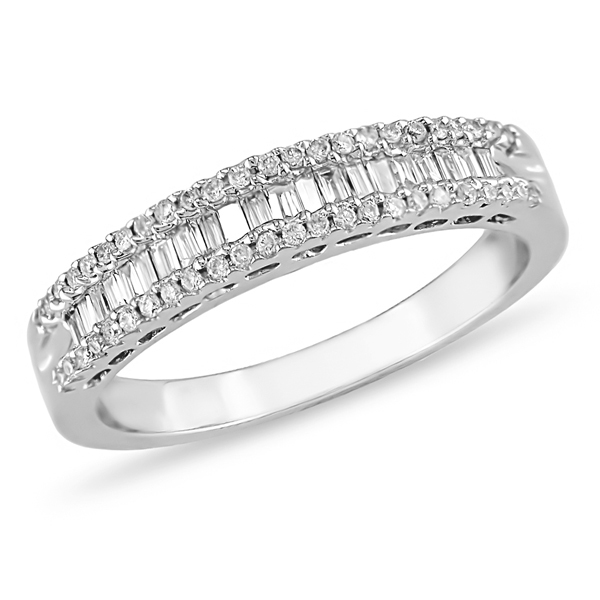 1/3 CT Diamond TW Eternity Ring 14K White Gold. 1/2 CT Diamond TW Anniversary Ring 14k White Gold GHI I1. 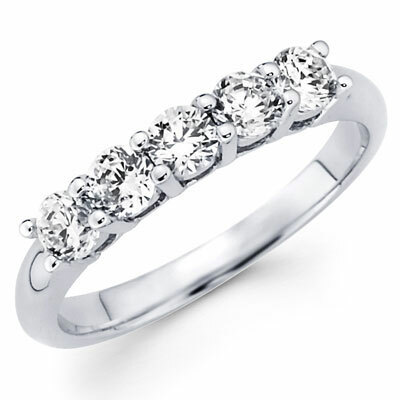 1/4 CT Diamond TW 3 Stone Ring 10k White Gold GHI I3. 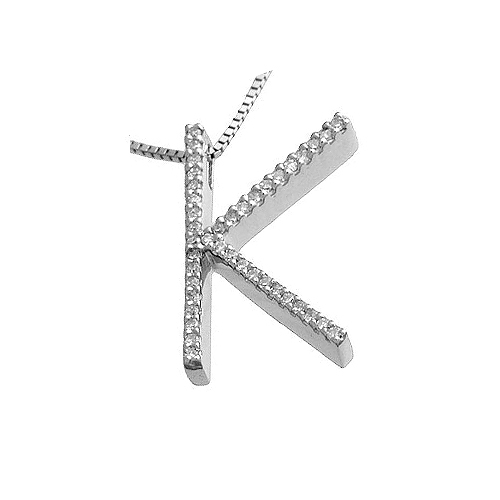 14K Diamond Initial K Pendant. 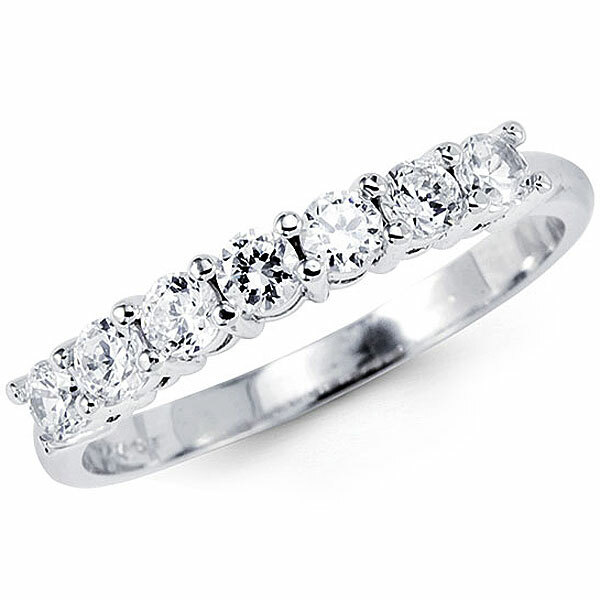 Comes with a 18inch white gold box chain..
Classic 5 Diamond Prong Wedding Band in 14K White Gold. 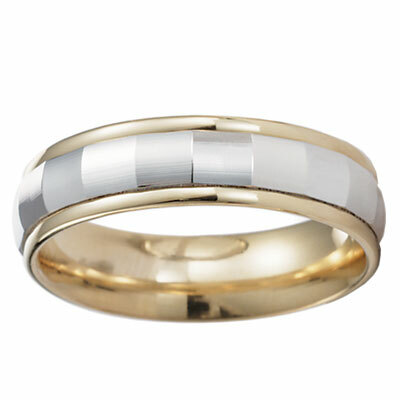 14k Two-Tone Gold Designer Wedding Band. Satin Carved 6mm 14k Wedding Ring. 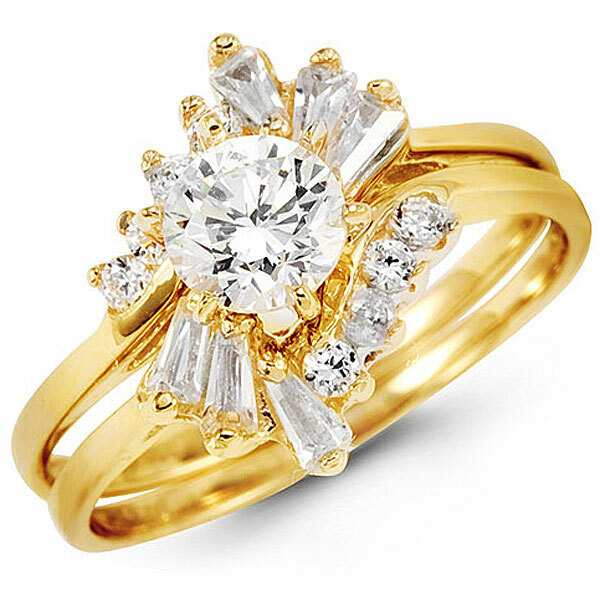 14k Yellow Gold Marquise Diamond Engagement Ring (0.95ctw). 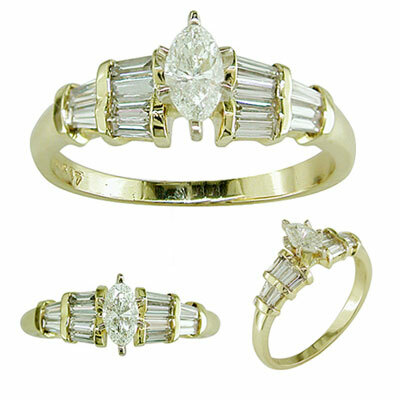 Display your love with this Marquise and Baguette diamond engagement ring. The Marquise diamond(0.40ctw) takes center stage on this finely crafted ring. Baguette diamonds(0.55ctw) drape across the sides of this ring. 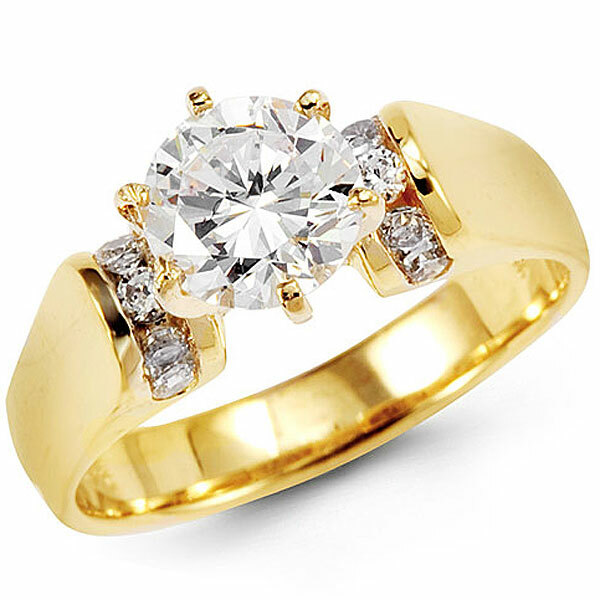 Take advantage of GoldenMine’s everyday low prices on beautiful Engagement Rings and Wedding Bands. 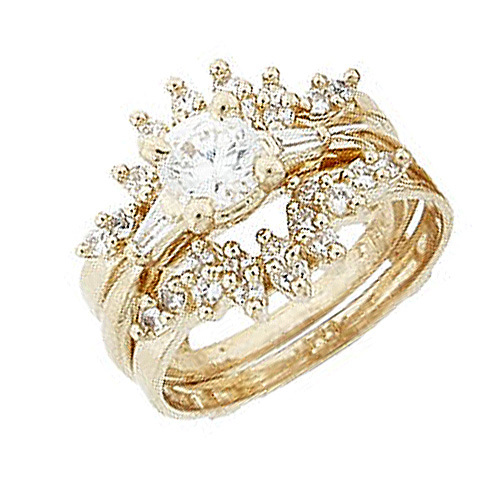 14kt Yellow Gold CZ Wedding Ring Set. 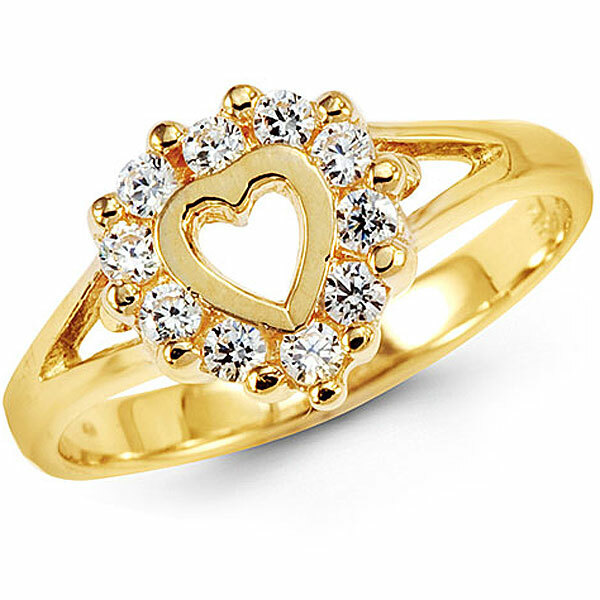 Show your love with this 14kt yellow gold wedding set. The engagement ring features a round CZ stone 0.60ct equivalent flanked by 2 tapered CZ baguettes. The engagement ring slips into a ring guard that features round CZs set in a marquise shaped setting. 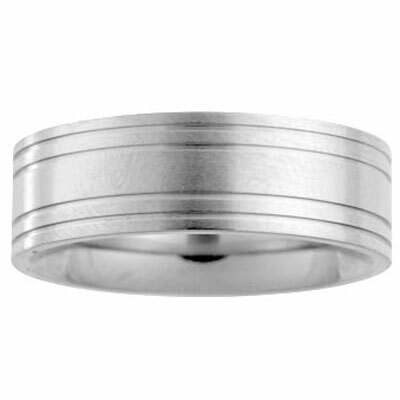 The ring guards protect the engagement from nicks and scratches. Treat yourself to dazzling jewelry at GoldenMine’s everyday low prices. 14k White Gold Gentlemen’s CZ Wedding Band . This 14k white gold wedding band features three rows of cz stones. The center row displays 3 slightly larger cz stones in between a satin finished texture. The outer rows show a total of 6 czs. The band has milgrained details giving it an antique look. Take advantage of GoldenMine’s everyday low prices on beautiful Engagement Rings and Wedding Bands. 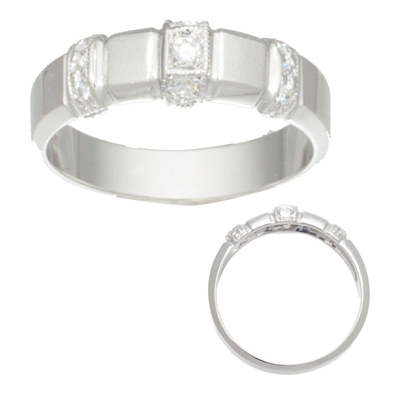 We also carry the matching Ladies wedding ring set item # R6808 . 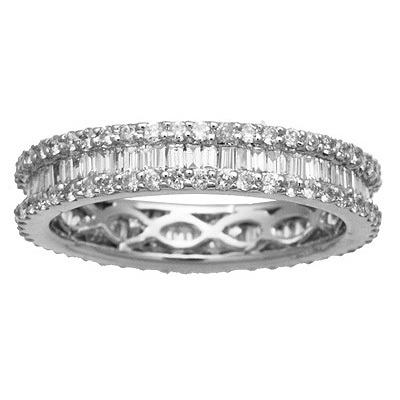 18k Round and Baguette Diamond Eternity Band 1.75ct. This chic eternity band features a glistening row of pristine baguettes placed in between two rows of pave set diamonds. The baguettes are channel set. 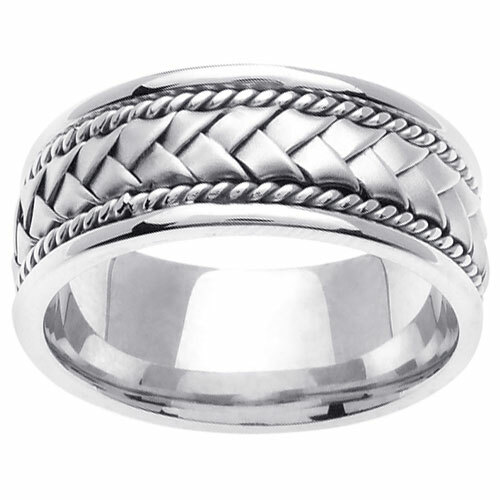 This quality piece of jewelry has the added detail of a weave pattern on the inside of the shank. For elegant jewelry at unbeatable prices search GoldenMine. Two Tone Diamond Design Bangle . 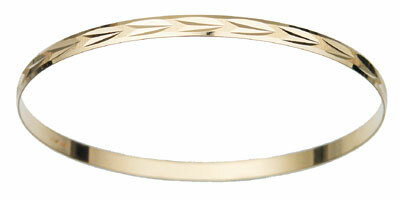 Beautiful solid bangle in 14k two-tone gold. 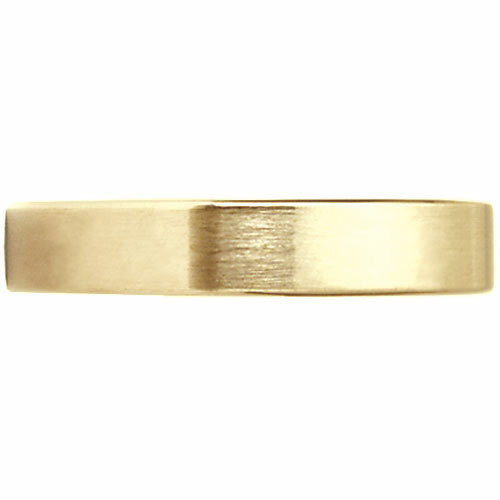 The outer edge is made of 14k yellow gold. 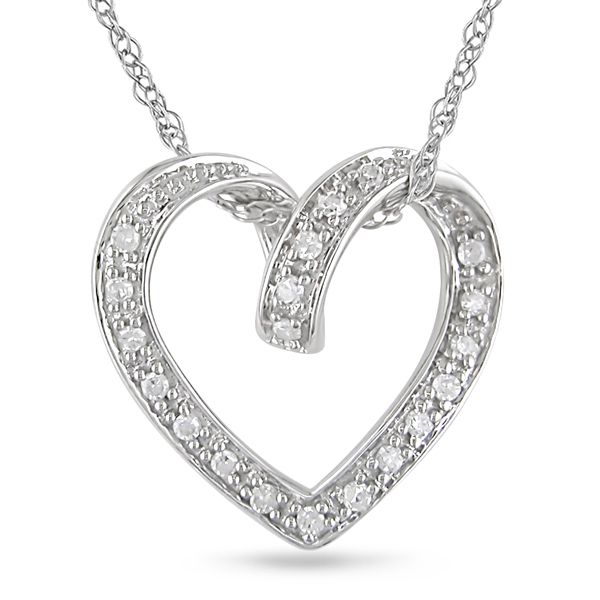 The inner design made of 14k white gold features an intricate diamond design. A latch allows you to open up the bracelet to easily fit around your wrist. Treat yourself to dazzling jewelry at GoldenMine’s everyday low prices. 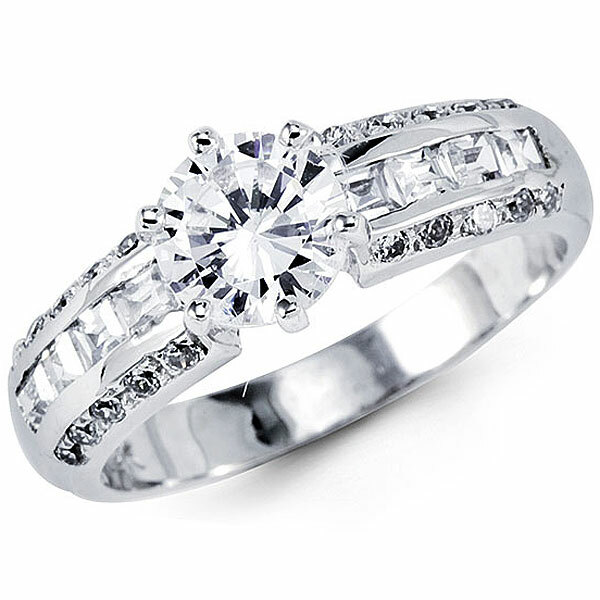 14k White Gold Ladies Wedding Ring Set. 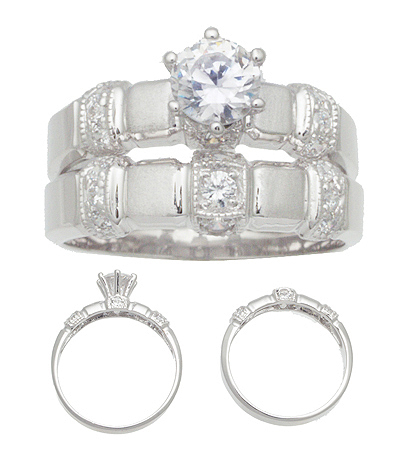 This 14k white gold wedding set features a round cz center representing a 0.65ct. 8 round czs adorn the engagement ring. 9 round czs decorate the band. Satin and milgrain details are found throughout the set. A matching men’s ring completes the set style # R6807 . 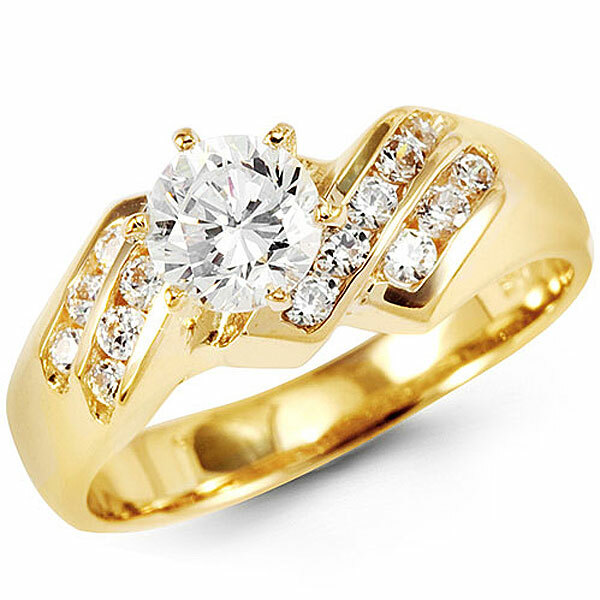 Take advantage of GoldenMine’s everyday low prices on beautiful Engagement Rings and Wedding Bands. 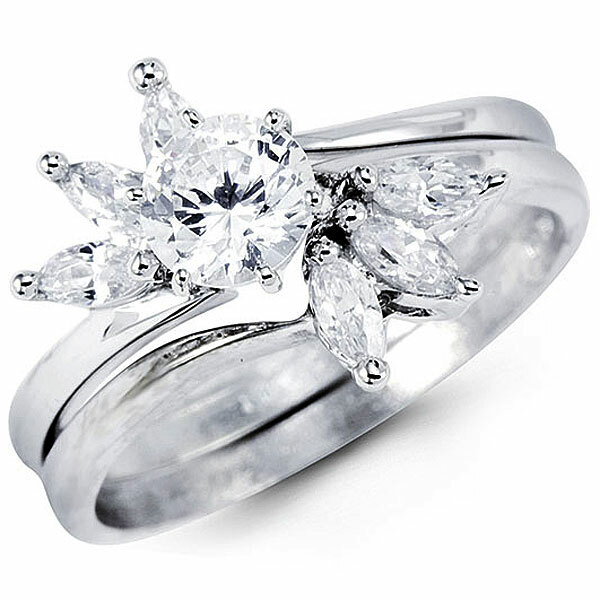 14k White Gold CZ Ring . 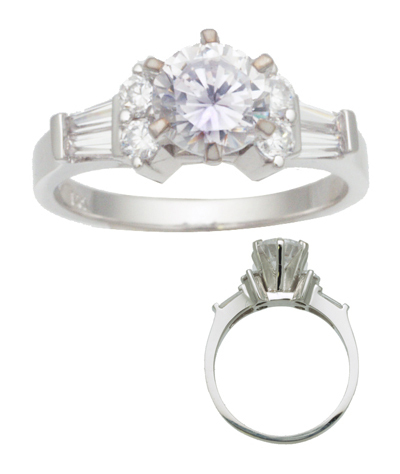 A stunning 1.00ct equivalent round cz center stone set in six-prong setting. 4 prong set round czs and 4 channel-set tapered baguette czs add to this impressive ring. Buy luxurious jewelry at affordable prices at GoldenMine. 14k Solid XO Bangle . A series of X and O’s decorate this solid 14k yellow gold bangle. Intricate patterns as well as hand cut pave X’s really add a note of elegance to the bracelet. Buy luxurious jewelry at affordable prices at GoldenMine. White CZ Ring . 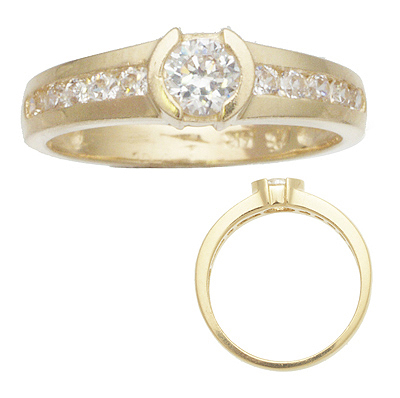 This engagement ring features a bezel set round cz representing a 0.40ct stone. 10 round stones are channel set along the ring. 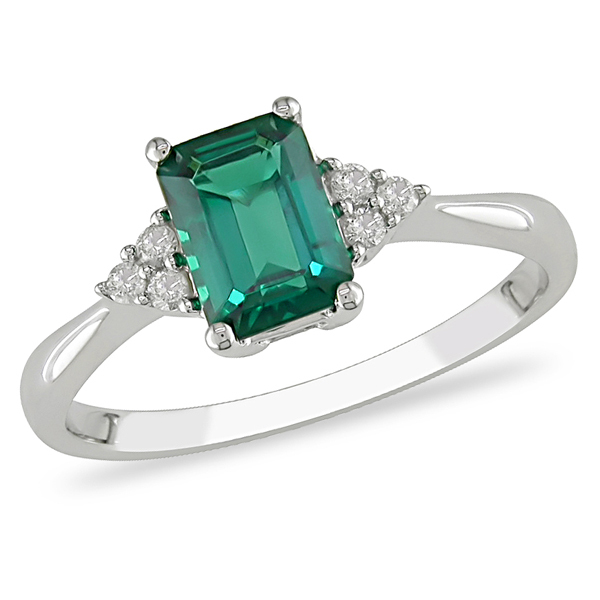 The bezel setting protects the center stone from edges and other objects. For elegant jewelry at unbeatable prices search GoldenMine. Greek Key 14k Bangle. 14kt Greek key design bangle bracelet. Greek key designs in high polish are set against a textured background giving in an incredible contrast that is very fashionable. Buy luxurious jewelry at affordable prices at GoldenMine. 14k Etched Bangle . 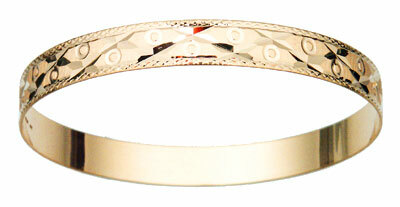 Charming light 14k bangle with etched satin design. This sophisticated design will satisfy women of all ages and the light touch of gold complements both day and nighttime wear. Shop at GoldenMine for all your jewelry needs at affordable prices. Fancy White Gold CZ Ring . 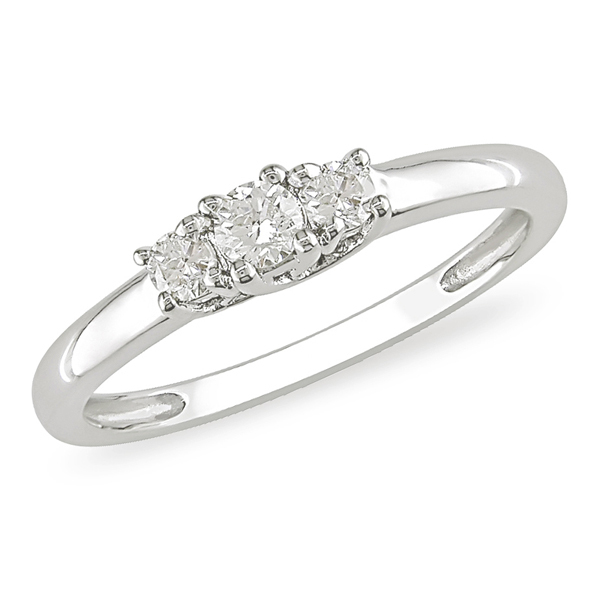 This 14k white gold ring features a round cz center equivalent to 0.65ct. 12 round czs are pave set in front back and sides of the ring. Shop at GoldenMine for incredible offers at affordable prices. 14K Triple Swirl Bangle. 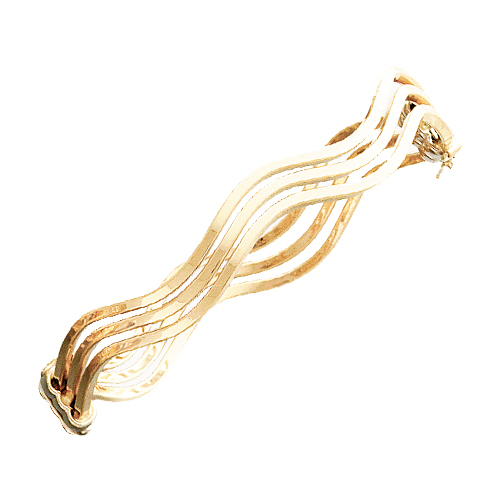 Sleek 14K gold flows in three unbroken waves in our modern Triple Swirl Bangle. An exciting and dynamic twist on a classic favorite this bangle gives the look of multiple or stacked bracelets for the price of just one. Buy luxurious jewelry at affordable prices at GoldenMine. Greek Key Swirl Bangle . Unique Greek key swirl bangle in 14k yellow gold. A greek key pattern along with a satin finished texture follow the twist of this square bangle. Shop at GoldenMine for incredible offers at affordable prices. Solid Leaf Diamond Cut Bangle . Carved from sultry satin-finished 14k gold our sleek modern bangle is inset with the simple diamond cut design of a row of leaves. This bangle will add a touch of elegance and grace to any outfit. Shop at GoldenMine for all your jewelry needs at affordable prices. Tri Color Solid 14K Gold Bangle. Tri-color gold blends together in our colorful and unique solid 14K gold bangle. A modern updated look on the classic bangle a jewelry item that will never go out of style. Buy luxurious jewelry at affordable prices at GoldenMine. Heart and Bow CZ Bangle . 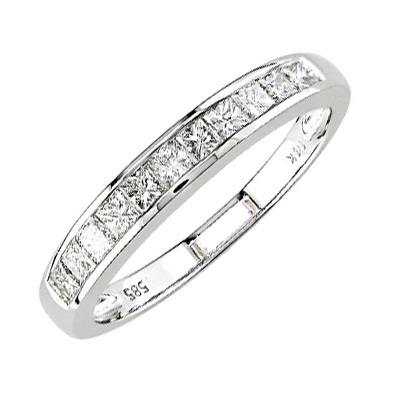 Elegant fancy diamond CZ bangle in 14k gold. This bracelet features a heart dangling from a CZ decorated white gold accented bow. The bangle opens up and is secured via a latch. Shop at GoldenMine for all your jewelry needs at affordable prices. Brick 14K Bangle. The solid design allows you to purchase a larger bangle for a lower price. 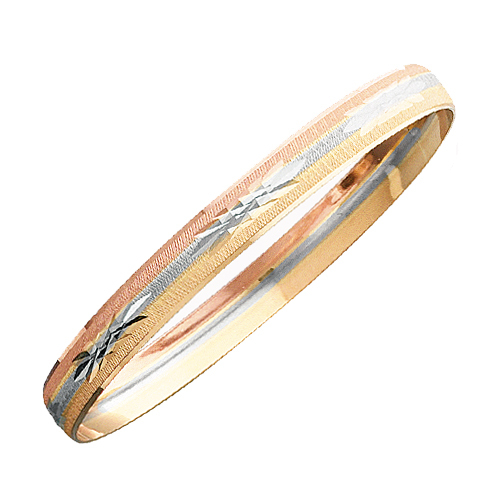 The pattern of alternating high polish and satin finish gives this bangle a unique fashionable design. Shop at GoldenMine for incredible offers at affordable prices. 14K Yellow Gold Classic Bangle. 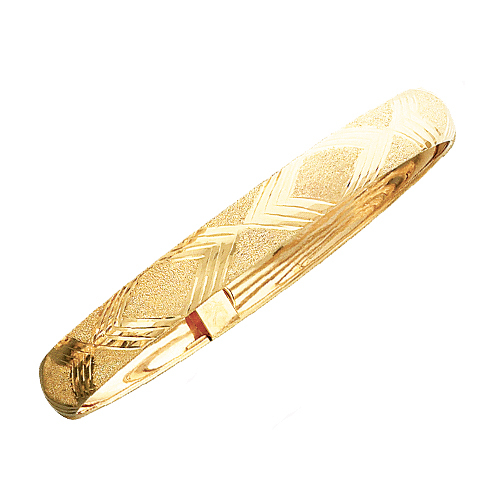 This elegant 14K gold bangle is the perfect accessory to anything you wear. This is a sturdy bangle that gives you the look of heavy bangle without the price tag. Shop at GoldenMine for all your jewelry needs at affordable prices. 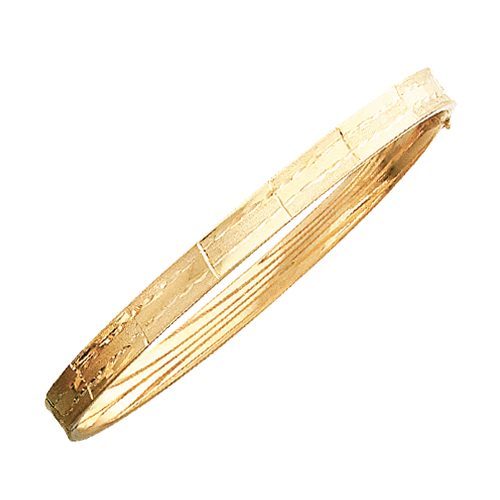 Striped Satin 14K Gold Bangle. Charming light 14K bangle with etched design. Alternating high polished and satin candy cane design wrap around this flexible bracelet. 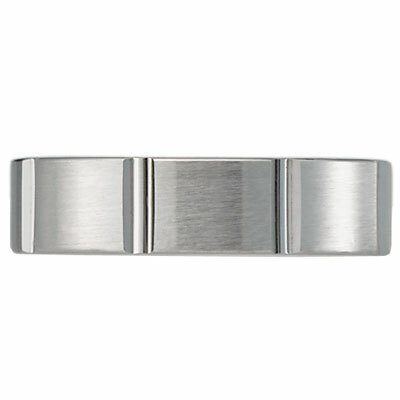 Three high polished stripes are etched into the bracelet. Shop at GoldenMine for all your jewelry needs at affordable prices. Tri Color 14K Bangle. Add a touch of elegant grace to any outfit with this tri-colored bangle featuring a design of leaves. 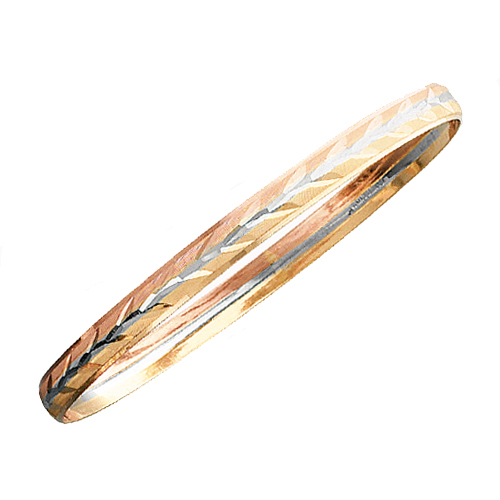 The leave design is etched in using a technique that adds sparkle to the bangle. Treat yourself to dazzling jewelry at GoldenMine’s everyday low prices. 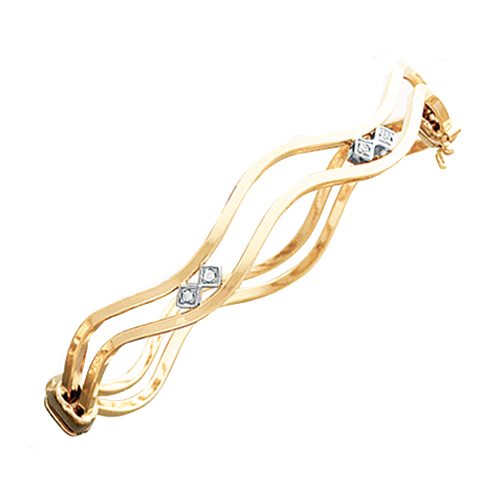 Flexible X Gold Bangle Bracelet. 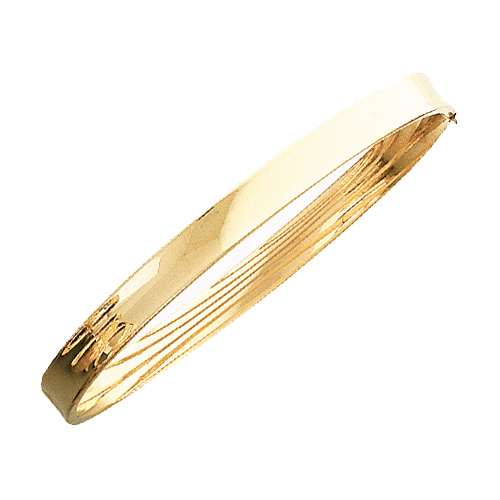 Light 14K gold bangle with glossy angled stripes. The stripes are etched into the bangle surrounded by a sandblast/satin finish. Treat yourself to dazzling jewelry at GoldenMine’s everyday low prices. Greek Key Cut Out Bangle. 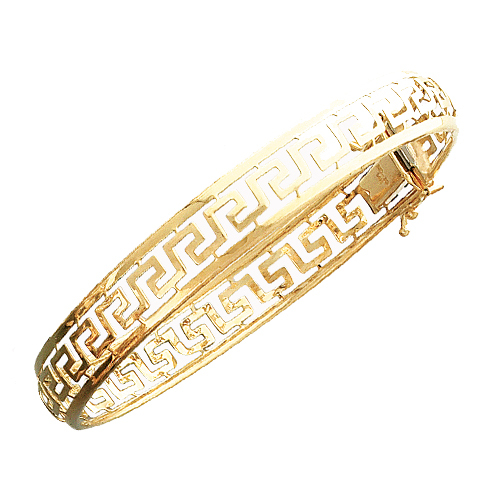 Intricately made lovely Greek key-designed bangle in 14K gold. A very secure latch makes sure your investment is protected. Buy luxurious jewelry at affordable prices at GoldenMine. 14k Gold Bangle . 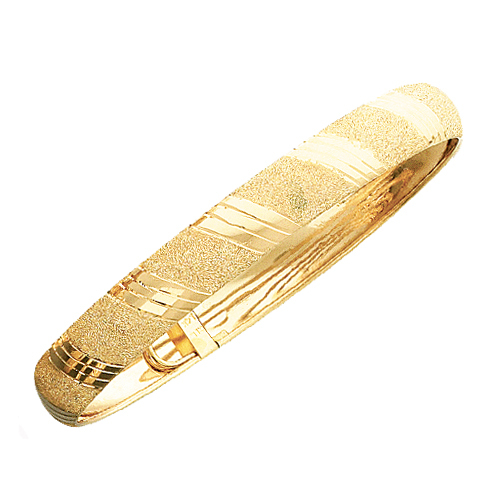 Dazzling and sophisticated 14k gold bangle with matte and polished finish. Etched designs cut into the bangle add sparkle to the bangle. For elegant jewelry at unbeatable prices search GoldenMine. 14K Cubic Zirconia Bangle. Two tone cz swirl bangle. 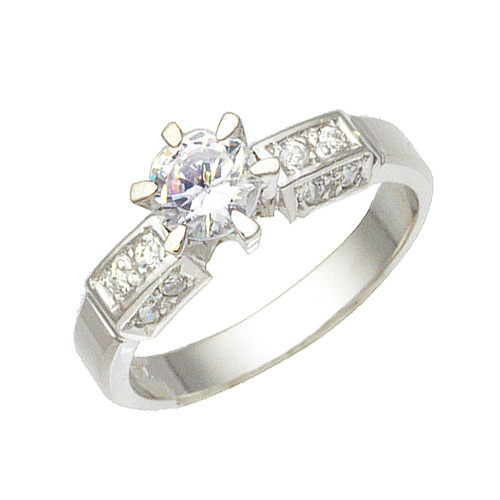 4 CZ stones are set in a white gold diamond shape setting. Shop at GoldenMine for all your jewelry needs at affordable prices. 14k Yellow Gold Bangle . 14k leaf design bangle. Detailed leaf patterns are etched into this satin finished bangle. Treat yourself to dazzling jewelry at GoldenMine’s everyday low prices. Fancy 14k White Gold Cubic Zirconia Cross . 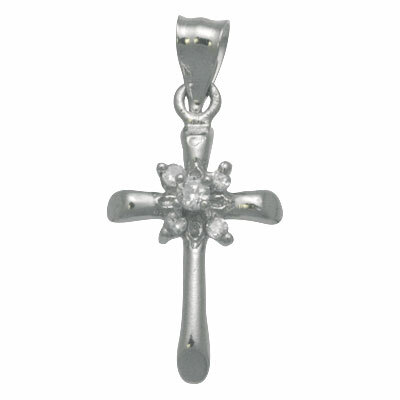 This beautiful fancy cross features a CZ centerpiece adding a variation to the cross pendant. For elegant jewelry at unbeatable prices search GoldenMine. 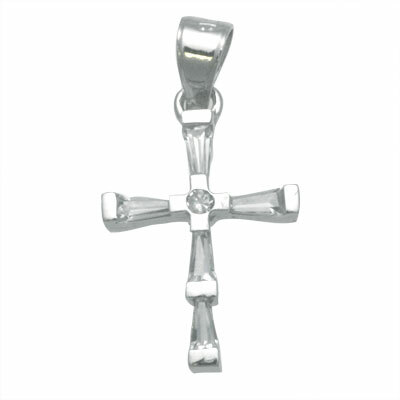 14k White Gold Cubic Zirconia Cross . Tapered baguette CZ and a round CZ form this modern cross. Treat yourself to dazzling jewelry at GoldenMine’s everyday low prices. 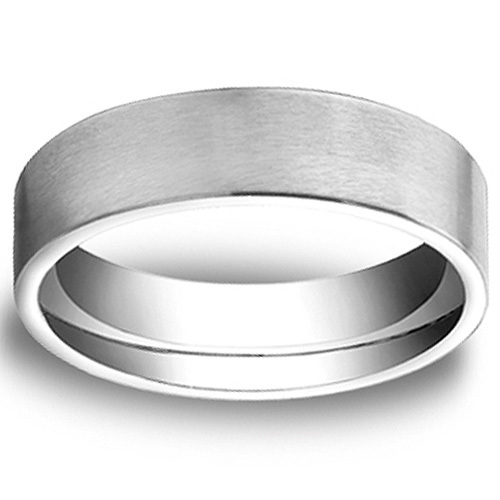 Titanium Wedding Band. 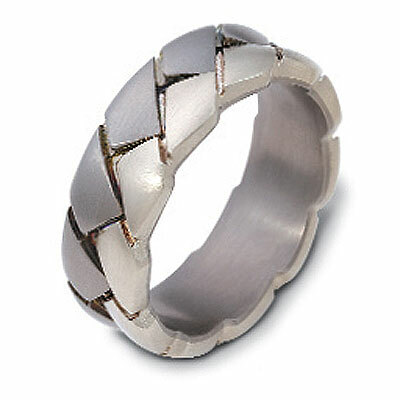 Made from lightweight titanium this ring is strong and durable. Only available in whole sizes. Shop at GoldenMine for incredible offers at affordable prices. 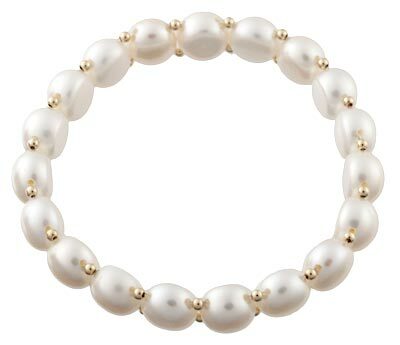 Pearl Bangle Bracelet . Pearl bangle bracelet. Gold beads are found in between these lustrous pearls. Buy luxurious jewelry at affordable prices at GoldenMine.